Standup comedians have long been one of the most unique entertainers in the business. It takes courage to go onto a stage alone and work to make people laugh. Many comics become icons, and use their standup as a springboard into film or TV careers, while others are content to stick to the stage. If you’ve ever been told that you’re hilarious or that you should try your hand at comedy, you’ve probably at least thought once or twice about developing your humor into a standup comedy routine. But the minute you start to ponder it, you realize that it can be a little harder than you initially thought – developing a great standup comedy act isn’t the same as having a quick wit or being able to make jokes on the fly in a given situation. However, that’s exactly the kind of humor you need to bring to life if you want to develop a standup act. It is possible to take those first steps towards comedy, and a few tips can help. Understanding more about the process can help you in a big way. The first step towards writing a standup comedy act is understanding your own humor. That quick wit people are always complimenting you on? That’s what you need to capture. Are you more focused on ‘blue’ humor, or do you want to keep it clean? What about your overall topics – do you prefer to tell funny stories that are slight exaggerations on what happened to you, or are you more of an observationalist like Seinfeld is famous for being? Here’s another way to look at it. Think about a topic, the emotion it brings, and the point of view you want to approach it from. The way Louie CK talks about his kids is completely different from the way that Jim Gaffigan talks about kids, for example. It’s your point of view that is important. What we’re getting at here is that each comic is known for a particular style. Understanding your own style and your humor is the key to taking the first steps towards developing a comedy act that will actually make them laugh. Take a look at yourself and your humor and think about it. Now it’s time to start crafting your routine. This is where the paper meets the pen, and it’s important to keep a few tips in mind to help you get the best results from the process. Here are some things to remember. No matter what type of humor you focus on, if you want to really succeed you’ll want to build your routine from things that have happened to you in real life and that others can identify with. Even if it’s the strangest, most surreal thing you’ve ever had happen to you, that grounding in reality will help your audience relate to it. Embellish as you need to. The best stories – the ones that really get the laughs and that are remembered and repeated – are those that have some embellishment. It’s human nature, and happens often without our even realizing it. Take your funny experience or observation and build on it. Run with it. Develop it into something truly funny. Remember that while you’re writing what is essentially a speech, you don’t have to follow all the grammar rules you learned in school. Think about the performance, not what’s written down. Trust your instinct. If you’re funny, you’re funny. It will come across as you create your act. Trust your gut and go with it. Don’t focus on making a statement – at least at first. Plenty of comedians have brought their political views into their acts, and making a social statement is a big part of what comedy can be about. But don’t force it in. If it flows naturally great. If a bit works because of your views, even better. But don’t try to take a funny bit and shoehorn in a political, social, or religious reference. Comedy works best when it’s natural. As you go through life, take plenty of notes. The best comedians are always observing and always paying attention to what’s going on around them. Use your imagination and your sense of humor, and you could turn everything from a trip to the grocery store to a drive to the park into comedy gold. Once you write your initial act it’s time to hone it. Just as an author will spend much of their time editing their novel before it goes to the publisher, your act needs to be edited and crafted as well. Here are some tips. Start by doing a dry run in front of a mirror. Pay attention to your speech patterns and your body language. This is where your writing becomes a performance. Adjust as needed – if the tempo seems off or a particular bit seems flat, cut it or change it. Pay attention to pacing and try to work in lows and highs. Now film yourself. Break out your smart phone and film your routine, then watch it back. Take notes as you watch and use those notes to adjust your act accordingly. You’ll notice things you didn’t see in front of the mirror. The next step is trying out the routine in front of friends or family. Try to get honest opinions, but realize that the odds are they’ll likely give you only mild critiques. They’re you’re friends, after all, and probably don’t want to be as brutally honest as some may be. Now you’re ready for the real thing. 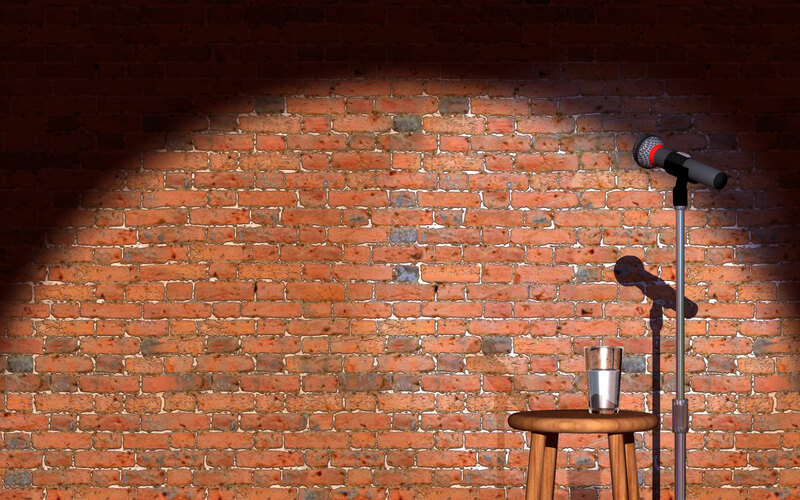 Head to a comedy club for open mic night and try out your routine – or at least parts of it as time allows. Listen to the audience reaction and learn from it, then you can adjust your bit as you need to when you return home. These basics should form a solid foundation for you to build your act from. Keep them in mind and you’ll be on your way to creating comedy gold.